8 Phillip Street by property group Coronation, is being targeted at cool, young urbanites. Fine-diners and boutique hotels: it’s not the Parramatta you know but it’s time to pay attention to Sydney’s second city. Parramatta has a stigma attached, but it’s shaking it off fast. The western suburb is the geographical centre of Greater Sydney, halfway between Bondi and Penrith, and for years the NSW government has touted it as the next big city centre. Progress has been stop-start and cynical Sydneysiders remained unconvinced. But perceptions are finally shifting. Pay a visit to Parramatta today and you can see the change happening in real time. The train to Parramatta is an easy 25 minutes from Central station (or a more leisurely river cruise from Circular Quay). Hop off and orientate yourself on Centenary Square, next to the Town Hall, which was the site of the first market place in Australia. Beyond, scaffolding conceals the new three-hectare precinct that is taking shape: Parramatta City Council’s multi-billion dollar revitalisation of its city centre. When complete (estimated to be in 2019), Parramatta Square will include a cutting-edge library, art gallery, open-air festival space, university campus and myriad landmark architectural feats. Centenary Square leads onto Church Street, known for its proliferation of restaurants that run the gamut from Dominoes and Grill’d to family-run joints serving everything from Sicilian to Middle Eastern fare. Gelato Messina popped up here in 2014; always a surefire sign that gentrification’s afoot. All down the street is further evidence: as lively and characterful that Parramatta feels on a sunny Sunday, half of it is under construction, with work-in-progress buildings on (what feels like) every corner advertising luxury apartments. One of 8 Phillip Street’s luxurious designs, is the beautiful infinity pool. One of these developments is the Woods Bagot-designed 8 Phillip Street by property group Coronation. Its visual identity is targeted at cool, young urbanites and its apartments will be complemented by such ‘lifestyle’ perks as a rooftop bar, infinity pool and world-class eateries. 8 Phillip Street stunning 3 bedroom apartment. It was announced recently that Sake and Rockpool Bar & Grill will open at 8 Phillip Street, as well as an outpost of the designer hotel chain QT that will include a spa and signature QT Bar & Grill restaurant. The combined look of all this looks set to symbolise the Parramatta of the future. 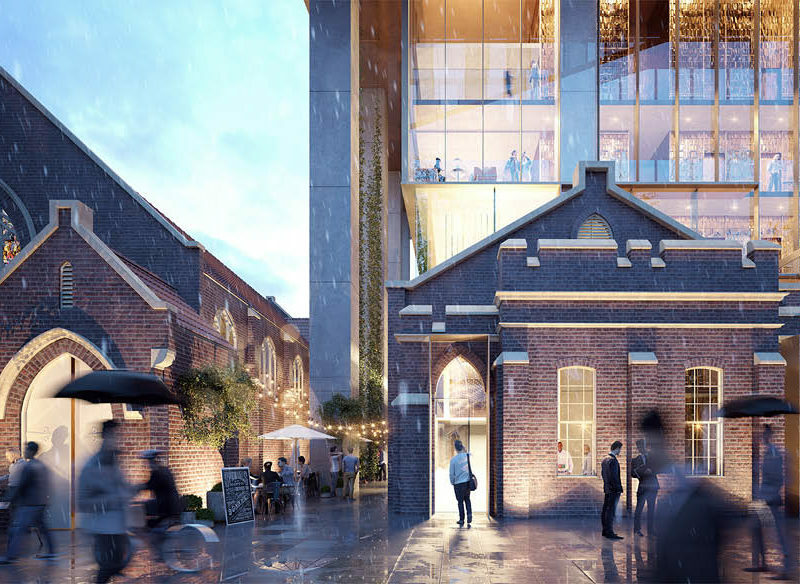 A raft of cultural institutions is also being transposed to Parramatta. Iconic short film festival Tropfest was moved from the inner-city to its new venue, Parramatta Park, this February, and Sydney Festival has introduced an increasing amount of its program here over the past few years. 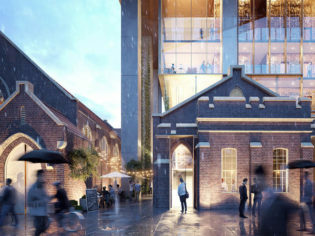 Raffles College of Design and Commerce opened a campus in 2015, and plans to relocate the Powerhouse Museum from Ultimo to Parramatta are ongoing. These complement a vibrant culture that already exists in Parramatta – in its stalwart Riverside Theatres, its multicultural energy and even in its older buildings (Australia’s first grid city still contains many heritage gems). According to those on the ground, this existing culture of multiculturalism is being carefully considered in all government planning; and the change that is happening is positive and necessary. With increasing numbers of young people and families being priced out of the city, Parramatta’s population is forecasted to grow by 40 per cent by 2031. And the appetite for new offerings is already there. Walk the streets of Parramatta today and you’ll find an interesting tension between what is and what will be. As new restaurants, bars and cafes emerge on the scene, seize the chance to enjoy them at ‘Parramatta prices’ before the inevitably of gentrification sees the area catch up with its inner-city and eastern suburb counterparts. – White Henry – A hidden, word-of-mouth espresso bar that’s passionate about its beans and blends. – Circa – Modelled on a Melbourne laneway cafe, Circa has been serving great coffee and creative breakfasts in Parramatta since 2010. Husk and Vine dish Swordfish Crudo with grapefruit, pink peppercorn and white balsamic. – Husk & Vine – Parramatta’s new slick eatery and bar with a menu overseen by ex-Flying Fish Stephen Seckold, based on the concept of modern comfort food. Husk & Vine has been opened up in Macquarie Street precinct by Skye. – Skye Hotel Suites – From 1 August, check in to Parramatta’s first five-star boutique hotel, next door to Husk & Vine. Stylish 2nd bedroom suit in the Skype Hotel. – Riverside Theatres – Riverside Theatres has been western Sydney’s flagship performing arts centre since it was established in 1988. It also hosts many Sydney Festival events. – Markets and festivals – Keep track of Parramatta’s roster of markets and events, from farmers’ markets every Friday to events such as the Asian arts festival Parramasala.